Nadine is on the left in this photo. I spent more than a year in the academy and would like to share my experience now with former and new students, who plan on visiting the academy one day. In my hometown munich i already got in touch with shaolin kung fu and trained for two years every other evening. I could already feel the power and magic of this martial art, the concept of combining mind with body and controlling the qi impressed me a lot. Also the philosophy and the life style behind kung fu matched totally with my own morality. 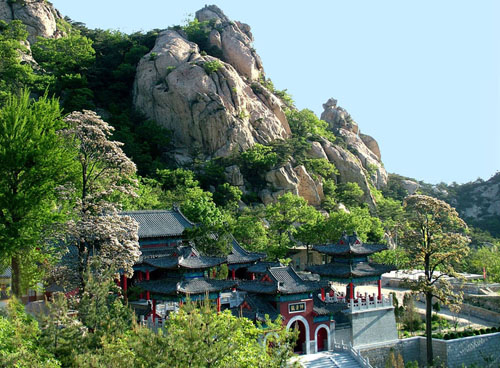 To get a real and deep understanding of it, i knew i have to go to the birthplace of shaolin kung fu and thats why i decided to quit job and flat and dived into this new and exciting culture. I won’t go to deep into details of the training and the daily life, that would be too much content and everyone should make their own experience and picture when they will train there one day. What I will share are the benefits I got from training in this academy. The training made my body and my mind stronger, improved my endurance, my explosive power, my perseverance and my flexibility. 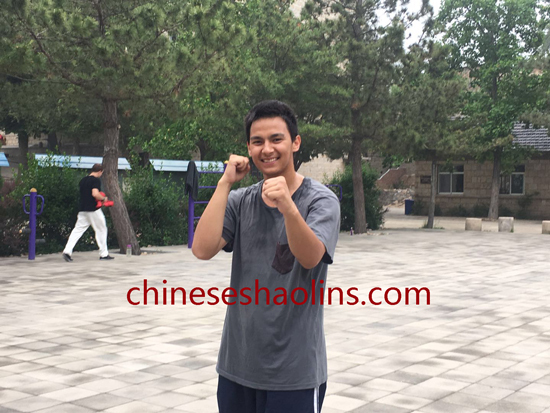 I trained different fighting techniques, kickboxing, forms (fist and weapon), breaking bricks, acrobatics and basics. Since I also took part in all the optional qi gong classes, I learned a lot about my qi flow in the body, about the fields and about the importance of a strong and focused mind. The optional massage classes helped me finding the acupressure points and the meridians in the body and how to use them to heal injuries and diseases. Additionally I learned a lot about the Chinese culture, about manner, behavior, morality and traditions. In the end I could take a lot of responsibility I was assisting my master during the training, supervised new students in their first weeks, took part in performances and competitions to represent the school and got the necessary calmness to be present and focused in all upcoming situations. 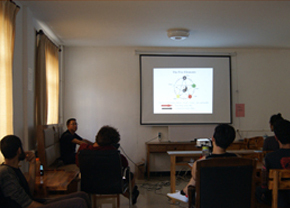 I was also lucky to got the chance and train with a lot of different masters during my stay in the school. 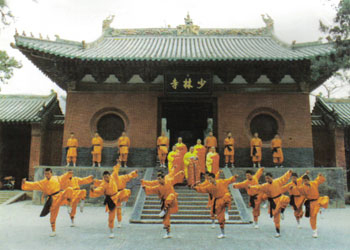 They all have a very high level in Wing Chun, Tai Chi, Sanda, Wu Dang and Shaolin Kung Fu. They all have different advantages though and so I was lucky to get a big spectrum of knowledge and teaching. They all became role models for me and I am very grateful that they decided to share their skills with us foreigners. But not only the masters had a high influence on my development, also the Chinese students and all the Chinese work staff of the school helped me growing in my path. 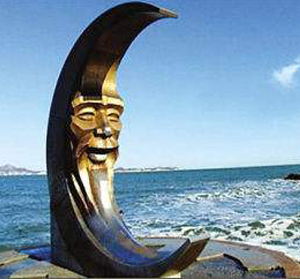 The Chinese people are very hard working, kind and content people, that is something I will also look up to. On top of all that, the school is located in a very beautiful environment with mountains, rivers, lakes and farmers fields. I found nice places to meditate, to hike and to watch nature. The nearest bigger city is 40 minutes away by bus or taxi. There are very nice markets with local food and handmade goods. 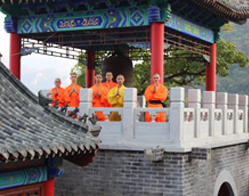 Nadine and other students on Kunyu mountain in 2018. 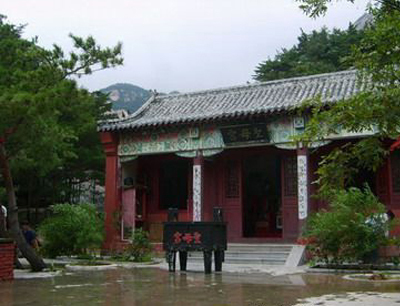 I chose to study Kongfu in China because I believe it is the best place to learn Kongfu. I want to teach Kongfu one day and help sprerad the Kongfu spirit wherever I go. Training here at Kunyu mountain has taught me to work hard and be diligent and dedicated to achieve my goals.Coach Loc has been a great teacher to me, he always inspires me to work harder and pushes me when I need that little bit of encouragement to do my best. I have grown a great level of respect for him and hope that one day he can be my teacher again when I return to Kunyushan. 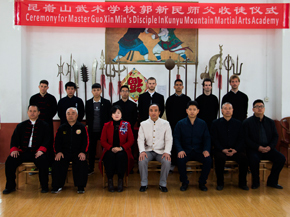 Training was quite difficult when I first arrived but with the help of my masters and Kongfu brothers and sisters, training has become much easier and I have grown fond of Kunyu mountain. I will never forget my experience here or the great people I have met. 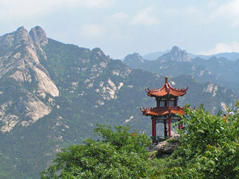 The clean air surrounding nature and a great place to learn Kongfu. Ethan Peters spent three month in Kunyu academy.